Yesterday, I posted that we were going to do a series on saving big time and not cutting back. Today, I bring to you my first post on how to save! This post will be on salon maintenance. This is the easiest place to cut back! First of all, I don't recommend cutting back on getting your hair cut every 6-8 weeks OR going somewhere cheap like Master Cuts. 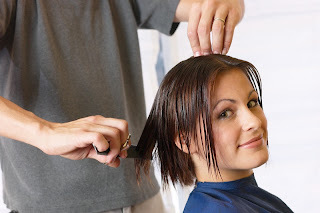 If you can find a quality beauty school in your area, it may be worth checking out, but every time I've cut back on the price of my hair cuts, I get a hack job and end up coming back for a fix at my regular place. Just spend the $30, it's worth it. Color and highlights can be cut back on. If you like to get both, see if you have a handy friend who is confident in her skills to highlight. At the very least, dye your hair at home, then get the highlights done in a salon. You're saving at least $50 this way. 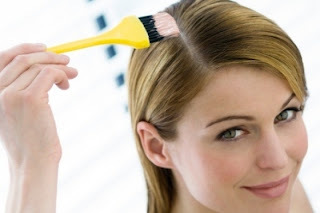 We did a great post recently on DIY tips to color hair at home. Also, I recommend doing a partial foil every other time you go in, rather than a full foil because it's cheaper, and unless you wear an elaborate updo, people will not see all the roots on the bottom of your hair. Stretch out your appointment an extra 2 weeks between times also, and if your roots are pretty noticeable, wear a cute headband, a hat, or a messy part and some dry shampoo, and people will be none the wiser. 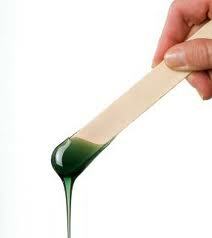 Waxes are super easy to do at home. Sally Hansen makes a great wax kit- just make sure you get one for your face, not body since that's a much harsher formula. Also, a good investment is a wax warmer that you can buy at Sally's Beauty Supply. It'll run you about $50 and the wax is about $20, but it'll last a good year before you need to repurchase wax. Popsicle sticks can be used to apply the wax, and instead of muslin strips, tear magazine covers into strips and use those instead. They work better and they're free! Mani's and pedi's are great splurges if you have a special event, but otherwise, just invest in a few good bottles of polish, plus a base and a top coat. It's so easy to do your own. If you're afraid it's too sloppy, have some q-tips and nail polish remover nearby. Check out the best base and top coats here. 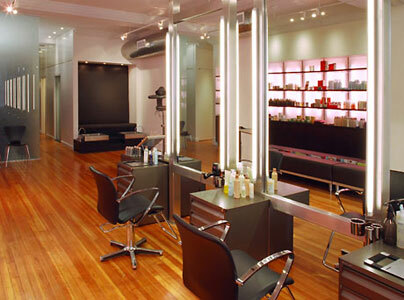 Our Salon Maintenance pricetag just went from $265 to $92! Honestly, sometimes it feels like a drag to be a DIY'er but it can have some major perks. For example, it really bothers me when I feel like I spend so much on an eyebrow wax, and they always go too thin in one area of my eyebrow. This way, you get to have full control over how it's done. The more you practice, the better you get. So in time, your thriftiness will actually make you better than the pro's at taking care of your own beauty needs!